Do you get flu shots? Is your tetanus shot up-to-date? Should you give all of the recommended vaccinations to your children? 98% of doctors will probably tell you yes. End of story. Did you even know that this was a controversial topic? I didn’t. 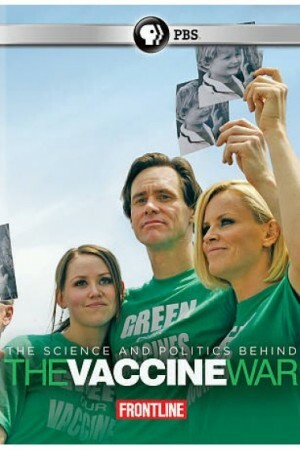 At least not until a few weeks ago, when Frontline: The Vaccine War showed up in our Netflix queue. Two weeks after seeing the Frontline program, I attended the Wise Traditions conference in Dallas (I blogged about this) where the vaccine topic came up in two sessions I attended. The first was a presentation entitled, “Autism, Vaccines, and Cholesterol Sulfate,” presented by Stephanie Seneff, PhD of MIT. You can download her entire powerpoint here, complete with links to many research papers. The second was a screening of the film The Greater Good. Both sessions were eye opening and inspired me to read The Vaccine Book, by Robert W. Sears, MD. Based on all of this, here’s a summary of my some of the more surprising things that I learned. While vaccines are usually effective at protecting against infection, they don’t always work. This article cites several cases of outbreaks of Measles, Mumps, Smallpox, Polio, Pertussis and Hib among vaccinated populations. For example, in 2006, there was an outbreak of Mumps that affected college students in Iowa. Most of them had been vaccinated against Mumps, but it had worn off. Why didn’t they get booster shots later in life? That’s not typical because, like many vaccine-preventable illnesses, Mumps is only worrisome for children and infants. Another thing to consider about vaccine effectiveness is that they don’t enable your body to build the same type of immunity that is built when contracting an infection naturally. I recently heard a talk given by Dr. Thomas Cowan in which he stated that the problem with vaccines is that they “only affect the cell’s mediated response, but not the humoral response…which has led to an epidemic of people with compromised cell mediated response.” I suspect he’s explaining what has been observed in studies like this one, which show that measles vaccination “produces immune suppression which contributes to an increased susceptibility to other infections.” In other words, people who contract illnesses like the flu and chickenpox as children may be less susceptible to sickness later in life. Mercury is known to be toxic to the brain and body tissues. The manufacturers claim that the dosage in vaccines is small, but when combined with the mercury that we’re getting from environmental sources, it may very well be enough to push our bodies (especially the fragile body of an infant) over the limit. While most manufacturers have cut back on the level of mercury in their vaccines, some brands of the flu shot and a few older versions of the plain tetanus and diphtheria/tetanus shots still contain high levels of mercury, so it’s best to ask for a mercury-free brand if you plan to get those vaccinations. Aluminum is replacing mercury as the main adjuvant in many vaccines today, including Hib, Hepatitis B, DTaP and the new HPV vaccine. The injectable form of aluminum that’s used in vaccines is different from dietary aluminum. These studies, conducted by Dr. Chris Shaw, showed that when mice are injected with aluminum in a way that mimics the doses one would get by following the US’s recommended vaccine schedule, they have cognitive and behavioral problems and damage to the part of the brains that control motor function. According to Hugh Fudenberg, MD, the world’s leading immunogeneticist and 13th most quoted biologist of our times: “If an individual has had 5 consecutive flu shots between 1970 and 1980 (the years studied) his/her chances of getting Alzheimer’s Disease is 10 times higher than if he/she had one, two or no shots. ..due to mercury and aluminum that is in every flu shot.“ What does Alzheimers have to do with babies? It’s a cognitive disorder for one. Secondly, more and more people now believe that Alzheimers and Autism are the same problem, but just manifest in different age groups. Dr. Robert Sears also talks here about why he’s concerned about the levels of aluminum in the recommended vaccine doses. The number of severe reactions that have been reported following vaccinations is quite large. 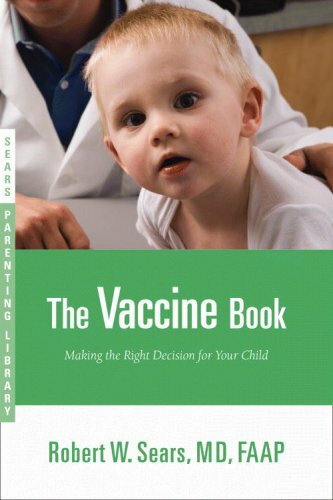 In The Vaccine Book, Dr. Sears provides some statistical analysis of data from the publicly accessible VAERS (Vaccine Adverse Events Reporting System) database, which the CDC collects. By dividing the total number of vaccine doses administered in the US by the number of adverse reactions reported in this database, he concludes that the chances of having at least one severe reaction after following the recommended vaccine schedule from birth to age 12 is 1 in 2600. In other words, you’re at least 10-100 times more likely to have a severe reaction to a vaccine than you are likely to contract the illness it’s protecting you against (see the illness likelihood data below). It’s important to note a few things about this data. First of all, not all reactions are reported, for a variety of reasons. So the chances of having a severe reaction are probably much higher than this. Secondly, chronic problems like ADHD, asthma, allergies, autism and other learning disorders are probably significantly underreported because the public doesn’t generally make the association with vaccines and therefore, most of these cases aren’t reported to VAERS. And finally, a disclaimer, which is that this database relies on self-reporting of serious reactions to vaccines. What we don’t know for certain is if the vaccine specifically caused the reaction. There are strong correlations between certain vaccines and people reporting neurological disorders, like autism: Stephanie Seneff, PhD. did some analysis of more recent VAERS (Vaccine Adverse Events Reporting System) data. Her findings are included in the above-referenced presentation. For instance, she found that autism rates among vaccinated children started to skyrocket after 2000 – right around the time that aluminum replaced mercury as the main adjuvant in vaccines. Overall, many adverse reactions reported after 2000 occur much more frequently in those vaccines that contain aluminum. She also found that autism rates are 2.7 times higher among those given the MMR (measles, mumps, rubella) vaccine. She also found a strong correlation between autism and the Hepatitis B vaccine. The safety trials are rigged. The so-called “placebos” contain some of the vaccine additives, such as aluminum! Yes, you read that right. This way, should any adverse reactions to the additive appear during a safety trial, it won’t be linked to the vaccine because it should show up equally in the “control” group. How on Earth this is permitted is a mystery to me. What’s the risk of contracting a vaccine-preventable illness? Unless noted otherwise, I’m listed the number of reported cases each year – actual cases may be higher. Some are diseases that will stay with you for the rest of your life, such as HPV. In those cases, just be aware that the probability of ever contracting the illness in a lifetime is quite a bit higher than the numbers shown in the 3rd column, which is the number of newly reported cases each year. Many of these illnesses are only serious during certain periods of life (e.g. infancy), so the numbers as a percentage of the population may be misleading if you don’t consider this. For instance, the average infant’s chance of contracting a serious case of Pertussis is quite a bit higher than 1 in 200,000. If we assume that there are 1.88M infants under 6 months old in the US, and 75% of the 200,000 reported cases of Pertussis are for infants in this age group, then the actual odds of an infant contracting it are more like 1 in 13. An individual’s actual chances of contracting an illness depends on many factors, which are not considered in the numbers below, such as age, whether they are breast fed or put into day care, or how strong their immune system is. Should you take your doctor’s advice? I’ll let you decide for yourself, but keep in mind that most doctors don’t learn a lot about vaccines in medical school. They have little to no idea how they’re made or how the body processes some of the additives that are in vaccines. They also are probably not very adept at identifying reactions resulting from vaccines unless they happen immediately. Finally, doctors typically don’t know how vaccines are evaluated for safety or effectiveness. I’m generalizing, of course, so you should ask your own doctor or pediatrician these questions and then decide how much you want to rely on her or his advice. 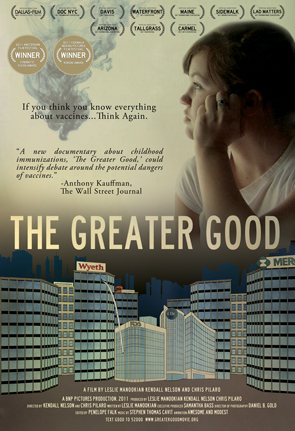 According to The Greater Good, Vaccine makers are poised to generate $21.5B in sales annually. Over the past decade, pharmaceutical companies have spent more money lobbying in Washington than any other industry, including oil and insurance. The ACIP, which is the organization that decides which vaccines should be recommended to Americans, has doctors on their board who have a financial interest in, say, a vaccine like Guardasil (for HPV) making it on to the recommendation schedule. That’s a major conflict of interest. A huge lobbying success for the pharmaceutical industry came in 1986 when they convinced congress to create The National Vaccine Injury Compensation Program. This program conveniently protects the vaccine manufacturers from being sued due to injury or death resulting from a vaccine. That means that in most US states, a portion of what you pay for the vaccine goes into a fund to pay for vaccine injury claims. Those claims are limited to $250,000 in payout. The fund has already paid out $2B. That translates into at *least* 8000 payouts – probably much more since I’m sure not every one was awarded the $250,000 maximum. With schools and daycares mandating proof of vaccination before enrollment and doctors who refuse to work with patients who decline vaccines, it’s no wonder people assume they have no choice. But the fact is that most Americans *do* have a choice – it’s just not easy. A good source of information on the options in your state is the NVIC (the National Vaccine Information Center).Most states have various exemptions, like the religious exemption. That means that you can’t be denied access to a public school or day care if you have declined vaccinations for religious reasons. But that doesn’t mean that the schools and daycares won’t constantly nag you to get your children vaccinated – their systems aren’t set up to handle exceptions well. To find a doctor that supports vaccination choice, I recommend asking around. I’ve personally received some great recommendations from a yahoo group that I’m a member of, called NoVa Families for Natural Living. The fact that so many doctors refuse to take on patients who want to create non-standard vaccination schedules or just not vaccinate their children is a mystery to me. Is it because unvaccinated patients are less profitable? Is it because the doctor is traumatized from witnessing a bad case of a vaccine-preventable illnesses? If it’s the latter, then I fail to understand why they don’t also fire patients who feed their children junk food. Diabetes is a terrible way to die. I hope that this article doesn’t come across as “anti-vaccine.” It’s not meant to be. It’s merely meant to help those who, like me just a few weeks ago, had only ever heard one side of the vaccine debate. I hope that this additional information inspires you to do your own research and make whatever decision you feel is best for yourself and your family rather than letting others make the decision for you. See this post and others like it here: HealthyHomeEconomist, RealFoodForager, MindBodyAndSole, and FoodRenegade. A very detailed and informative post. Thank-you! My husband and I have been talking about this issue quite a bit lately. We were both fully vaccinated as children, but we’ve refused to get flu shots and we started becoming concerned about the growth in the number of required vaccines for children (chicken pox and influenza, for example). We don’t have kids yet, but thank you for such a thorough article. I found your post at FoodRenegade. My husband and I have already eliminated a lot of industrial foods so far, but our New Year’s Resolution is to go “all the way” with raw dairy, sprouted grains, etc. Exciting! The other book to read is The Panic Virus, which tells the story of how vaccines became controversial despite the overwhelming evidence that they do more good than harm. Very interesting analysis of how junk science becomes popular opinion. I’ve included a link to a Wall Street Journal review: http://online.wsj.com/article/SB10001424052748704034804576025682621085122.html You can also get the book on Amazon. I’ve decided that we will vaccinate our child, though I may go with staged vaccinations instead of all at once. Still doing more research on that question. Thanks for the commentary H. I was hoping that someone would provide some different perspective on this topic, as the blog’s getting rather boring when everyone just agrees. I look forward to more discussion from others on this very important topic. Or maybe you might like to talk to knows personally. Like the mother and father (grandparents, aunts, uncles ect) of an autistic child. There isn’t any ? In our minds what caused our once typical child’s autism. And if your ignorant enough to believe any different go ahead an vaccinate your poor child. Take that chance if you want, but believe me… One day you may regret it. The evidence is there. But the government nor the pharmaceutical companies will never admit it. Because they know they would have to take care of our kids. It’s not cheap to get all the therapies that your child needs. Ignorance is bliss. Believe what you want. But one day you may be sorry….. Thank you for providing a voice of reason here. The final list of considerations before vaccinating you child was missing an extremely important component: will your child be interacting with any babies or elderly? If the answer is no than perhaps you live on the moon. I am very concerned about this type of popular opinion because I am 6 months pregnant and my sister is the one who shared this article. She doesn’t plan to vaccinate her child because she and her husband (not medical professionals) because they “think” it is poison. And what about the safety of my newborn? She doesn’t “think” that is a problem. That is easy for her to say, but the fact is that her child poses a risk to my baby. Thoughts and feelings don’t matter to a baby dying of whooping cough. I just don’t understand why people believe they are qualified to make life and death medical decisions that affect others. If you are not a doctor then I don’t care what you “think”- it is irrelevant. And if you are a doctor who is in disagreement with 99% of your colleagues- I question your judgment 99%. Katheryne, as a mother, I completely understand your strong desire to protect your child. I just don’t agree with your assertion that people who don’t give their children the pertussis vaccine are posing any more risk to your child than vaccinated children, for the reasons I list above (and btw, Pertussis vaccine appears to be one of the less effective vaccines on the market). I do, however, feel that children who have been given antibiotics pose a risk to my child. For one thing, antibiotic users are responsible for the creation of deadly antibiotic-resistant superbugs, like MRSA. Secondly, people who take antibiotics end up with weaker immune systems, so they get sick more often and therefore put the people they come in contact with at greater risk. That said, I am not going to suggest that antibiotics be outlawed for “the greater good.” If your motherly instincts tell you to take your doctor’s advice and give your child an antibiotic, I feel you should have the right to do so. Similarly, I hope that you will respect your sister’s decision to not vaccinate her child if that’s what she feels is right. And even more importantly, I hope you don’t put her down for “thinking” but rather, consider commending her for taking the time to research this important topic and then having the courage to do what she feels is right, even though others may not agree with her approach. They also link it to differences in brain development, but that seems to me to be more likely to be effect than cause. It’s all so easy to believe research (provided by the company that makes the profit) and a whole other issue when YOUR child is the one with the adverse reaction. When you take your happy healthy child in for a routine vaccine and they end up almost dead and in intensive care you start looking at things in a different light. Good summary and thank you for taking the time and effort to share with your readers. However, the best advice I can give to any parent looking to reduce or not to vaccinate is to make sure that BOTH parents are on the same page or there will be serious and many arguments. Obviously, we believe we have made the right decision – but even if one chooses to vaccinate, please find a pediatrician that will delay and reduce and please say no to Hep B at birth! Babies get a first load of vaccines at 2 months, which are repeated at 4 and 6 months. By six months of age they have already received enough damage. I think their writers had a good deal of help from legal, marketing, and psychology-minded people…. To start off defining the safety of vaccines as it relates to death or injury stats of other accidents, like being struck by lightning or having a shower/bath mishap, is a logical fallacy. Furthermore, most things I’ve seen from the CDC is slanted to favor the pharmaceutical industry, and I question the ethics of those in charge of research, review, and policy when incestuous behaviour – like Merck Industries hiring Dr. Julie Gerberding, the 2002-2009 head of CDC – is evident. Great article and comment discussions. Excellent article on the decision making a person went through for choosing an alternative vaccine schedule.